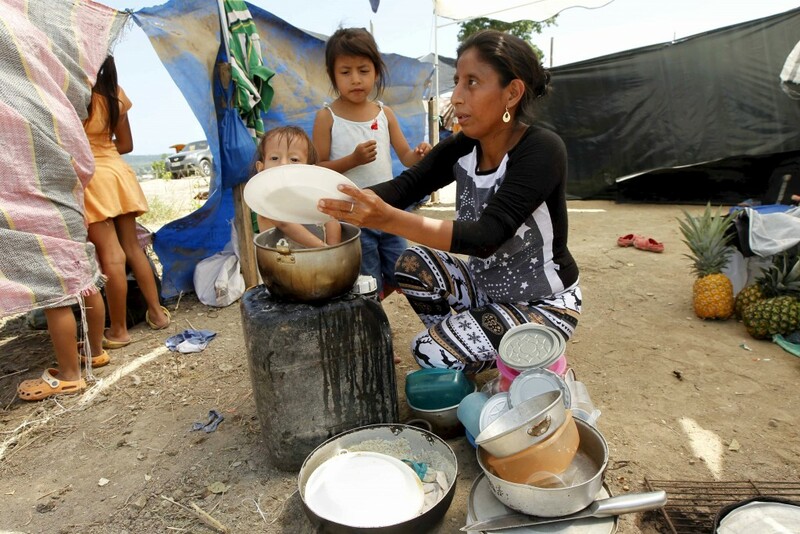 Ecuadorians faced more aftershocks this week as they continued to comb through the rubble caused by Saturday’s deadly earthquake. At least 587 people have died and thousands more were wounded in the 7.8-magnitude quake that hit the South American nation on April 16. More than 23,000 people have lost their homes. PBS NewsHour Weekend anchor Hari Sreenivasan spoke with Ninja Taprogge, an aid worker with CARE, on Friday about how the residents are faring. Because of the continued tremors, people are choosing to camp in the mountains rather than remain in the cities. “They are totally afraid to stay there,” she said. Aid organizations are distributing bottled water and mosquito nets to the homeless to try to stave off the Zika virus and other mosquito-borne diseases. 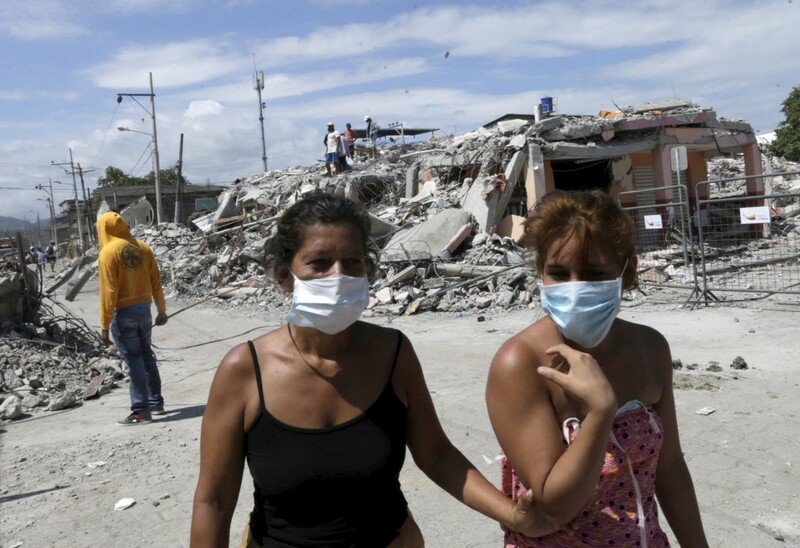 Left: CARE aid worker Ninja Taprogge describes the destruction and disheartened people in Ecuador’s earthquake zone.